“The large-scale US arms supplies to Saudi Arabia in May 2017 made it perfectly clear that the sanctions against Iran were coming back and the nuclear deal was dead,” Sharoj Habibi claimed in an interview with Sputnik Mundo. According to Habibi, the contract for the delivery of delivery of $350 billion worth of US-made THAAD air defense missile systems to Riyadh was negotiated, among others, by President Trump’s son-in-law Jared Kushner. “Obviously, if you let your son-in-law clinch such a deal, this big-time operation is bound to offer very lucrative bonuses,” Habibi noted adding that the Trump family could have earned a very comfortable, though undisclosed, commission from the deal. He alleged that as part of the contract, the US authorities “promised to do everything possible to kill the nuclear agreement with Tehran, which made it possible for Iran to economically outpace Saudi Arabia and develop its gas producing sector. Iranian gas would effectively sideline America’s Middle Eastern ally, Saudi Arabia,” the expert said. He added that because Riyadh’s ultimate goal is to ”control everything that is happening in the Middle East,” it needs to bring the US into play. With Donald Trump’s arrival inat the White House, he continued, the Saudis jumped on the occasion. “Therefore, instead of calling Trump crazy or dumb, I would say that he is an unscrupulous or ruthless businessman,” Habibi noted. 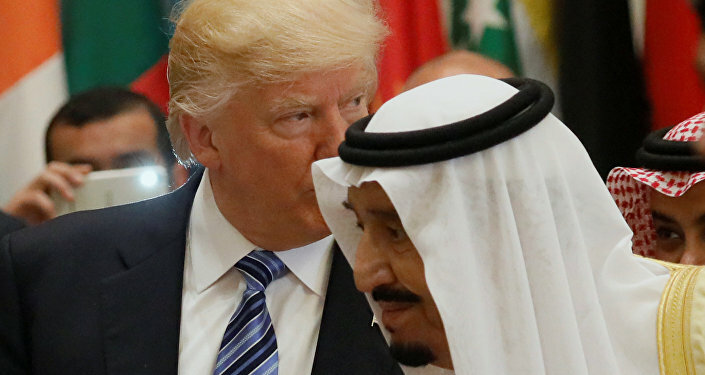 During his May 2016 official visit to Saudi Arabia, President Trump signed off on a historic arms delivery deal with Riyadh to the tune of up to $350 billion. 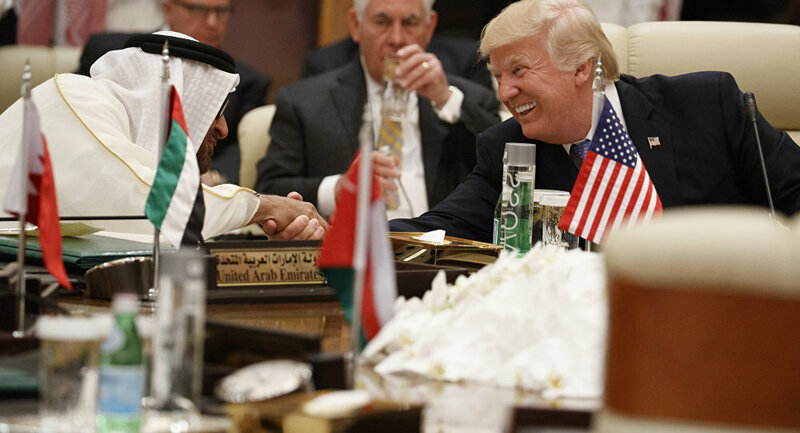 Washington sees the agreement as a means of boosting the Gulf kingdom's defense capabilities and supporting its efforts to counter terrorist groups operating in the region. Sharoj Habibi still believes that the 2015 Iran nuclear deal didn’t really mean much. It lifted some of the sanctions imposed on Tehran “but did not envisage any economic boom in Iran,” which had close trade ties with China and other countries. “China had already established its firm foothold on Iranian markets Western companies were not represented in.” Even though the nuclear agreement did ease some bureaucratic and legal constraints, the deal never really worked in full because this would necessitate “a great deal of time and effort from the West,” Habibi concluded. The landmark Iran nuclear deal was signed on July 14, 2015, by the P5+1 countries — the United States, Russia, China, France and the United Kingdom plus Germany — and the European Union, requires Tehran to maintain a peaceful nuclear program in exchange for sanctions relief. Iran has been in full compliance with the terms of agreement as verified in 11 inspection reports of the International Atomic Energy Agency (IAEA). In May, 2018, President Trump announced that the United States was walking out of the nuclear agreement with Tehran, a decision that has been strongly criticized by other signatories to the deal, including the EU, Russia and China.